Today’s report from the pre-Thanksgiving opening of the new Super HK Food Court, 37-11 Main St, Flushing, in the basement of Super HK Supermarket. Stall 25 is home to Lanzhou Noodle (aka Lanzhou Ramen, aka Hong Kong Noodle King according to the receipt) and despite a fairly extensive menu, we opted for the Cumin Lamb Stir-Fried Noodle because Cumin Lamb Stir-Fried Noodle, right? 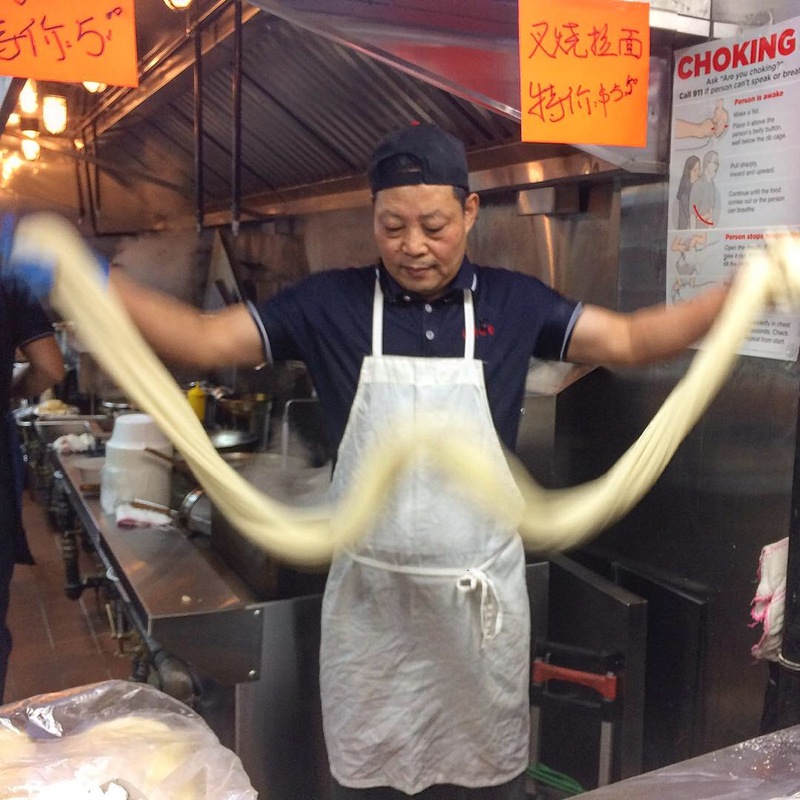 Three photos: the dish, the obligatory noodle lift, and the gravity defying double sine wave hand pull (which deserves to be an Olympic event). 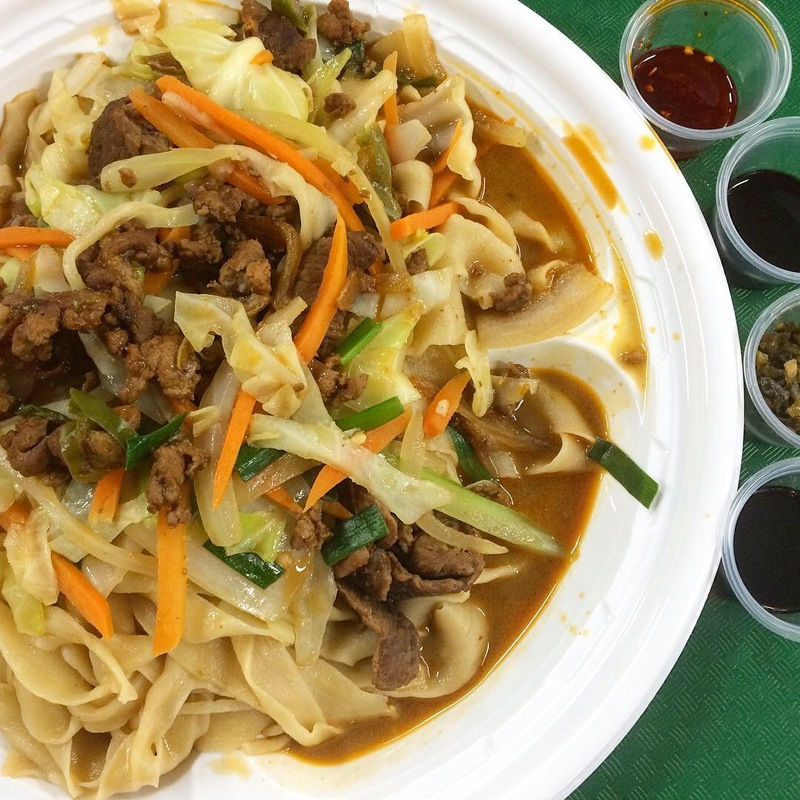 The pleasant chew of the noodles and the toss of appropriate veggies (carrot, scallion, cabbage) were promising, but more than a little lamb would have made it merry. I wish the cumin had made a stronger statement and that the meat had been of better quality but that may be due to opening week unpredictabilities. 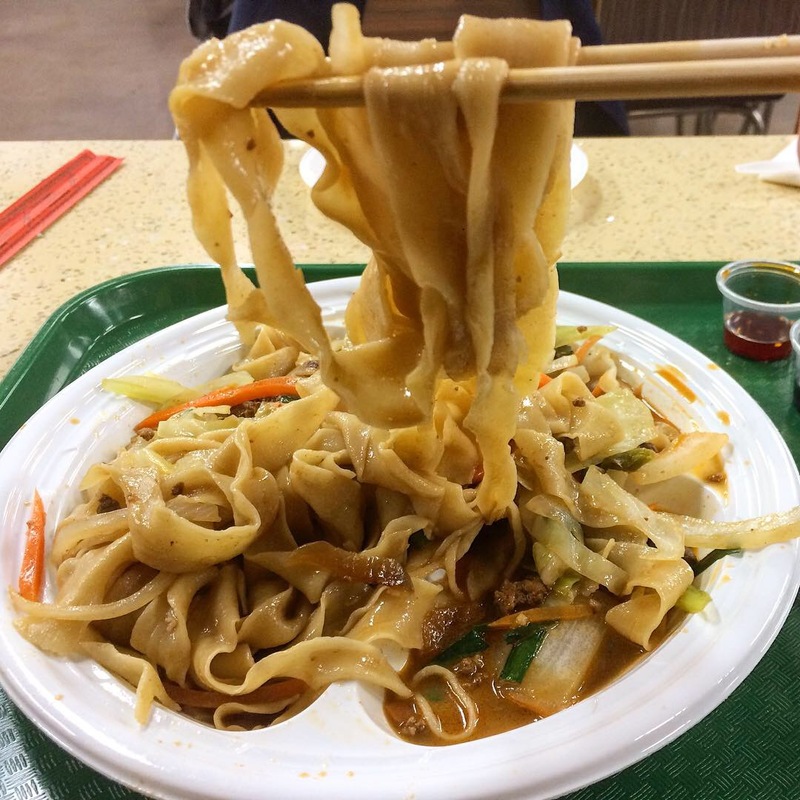 Still more to try at Lanzhou Noodle. This entry was posted in Instagram, Restaurants & Food Courts and tagged Chinese by Rich. Bookmark the permalink.